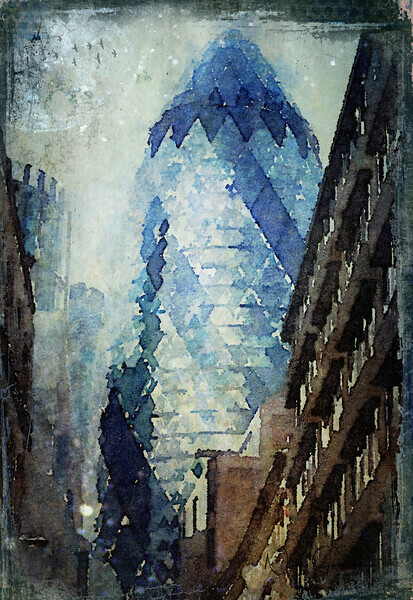 City Blue Watercolour on canvas or print of the Gherkin based on my photograph of my favourite building. This view was somewhere not far from Liverpool Street and pretty much to scale - in my mind I felt like an ant. To create added interest in my painting I added surreal elements such as an alien sky moon and a flock of birds flying across the strange impressionistic sky. in my special city.